Quick. Name the two most intimidating places people hate going to shop. I’m guessing most of you named either a car dealership or a jewelry store, or both. While different products are offered there is a parallel to be drawn between these two experiences. Let’s take a closer look. Car buying is emotional for the vast majority of us. We see a car on the road, catch a glimpse on TV or research models in anticipation of the need for a replacement. In all these cases we are led by excitement, visualizing what it would be like to drive the car, what our friends, colleagues and neighbors will think, etc.. So we head on down to the show room to get a closer look, some info on options and to drive the car. Then it hits you. Ughhh… I hate car dealerships. Jewelry shopping can be very similar. It starts with an emotion, a visual and then when it comes time to actually step foot in a store that feeling comes across you. Yep, you guessed it… Ughhh.. I hate being pounced on. Depending on where you have shopped I am sure you have encountered one or many of the following: the smarmy, the intimidating, the over bearing, the hard closer, the condescending, the judgmental, etc.. None of these are the least bit appealing when you are attempting to shop for a luxury good. Shopping for jewelry should be enjoyable. I have always felt that this is the most frustrating thing when shopping for cars or jewelry. Regardless of whether you are making a purchase today or in six years, you should be able to shop at your pace and receive knowledgeable help when and if you request it. This is the principal I base our stores upon. When you enter one of our stores, whether it is our Greenville location, our Lewes location or our new accessory store – Hooked in Lewes you will be treated the same way. Upon entering you will be greeted with a friendly hello, followed by an iteration of the following: “Please let me know if you have any questions or would like a closer look at anything. I am here if you need me. I like to let people browse at their own pace.” From there we will be in ear shot to answer any questions and to assist you as much or as little as you would like. I ask all of our staff to follow a simple theory – the function of sales person is to assist and educate the consumer so that they can make an informed decision at a pace that suits their preference. nothing more nothing less. 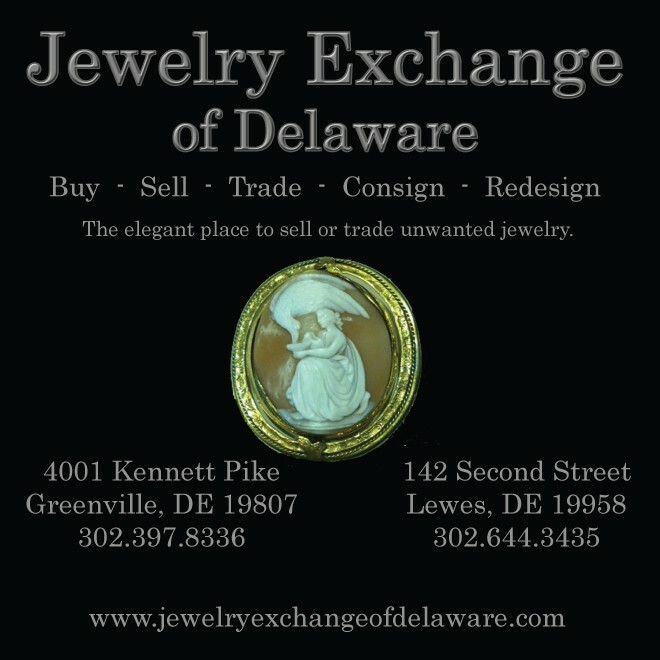 As the owner Roberta Kozak’s oldest son, Nick has been General Manager of the Jewelry Exchange of Delaware for the past 3 Years. Together with his younger sister Corey Grabowksi they own and operate two locations one in Historic Lewes and the other in Stately Greenville. Owning and operating an Italian restaurant is not always the most glamorous of jobs. We do whatever it takes including rolling up our sleeves and preparing orders, clearing tables and even washing dishes. However, as former (and forever!) beauty queens, we still enjoy dressing up, wearing makeup, and showing off beautiful accessories. So, we contacted Jewelry Exchange of Delaware store and asked them to create something unique that would showcase our personality, sense of style, and even the restaurant itself. 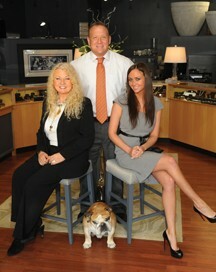 Jewelry Exchange of Delaware designed the most stunning, detailed pendants made of our own logo! We had necklaces, earrings, and pins made, plus cufflinks for our Dad. Each piece is so elegant and right on trend. In fact, we receive compliments every single time we wear one! Both the service and quality of the workmanship at Jewelry Exchange of Delaware are just phenomenal. Thank you for accessorizing the V and the M of V&M Bistro in style! ← Previous Story Got Gray? GREAT!